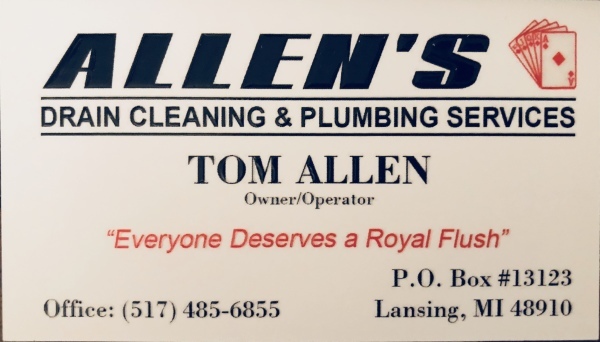 Allen's Plumbing Sewer and Drain Cleaning Services, has provided faithful service to our community for over 35 years. Our work and our satisfied customers speaks for itself! 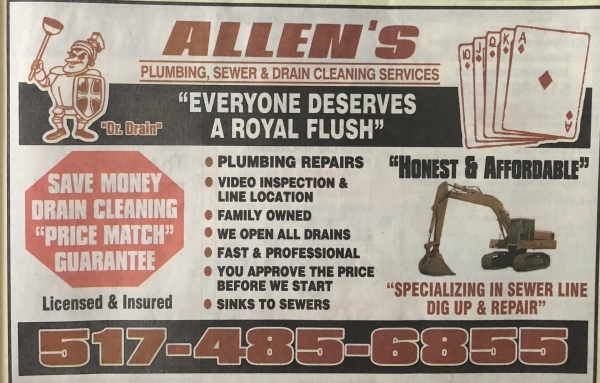 We're not the typical plumbing and sewer cleaning serivce, we strive to leave our customers with a positive experience without breaking their bank! We are a proud military family and it brings us joy to serve our vets. We love giving back to our community and are involved in many ways! We serve Lansing, Williamston, Grand Ledge. Haslett, St. Johns, and surrounding areas! Call us to find out how we can serve you!